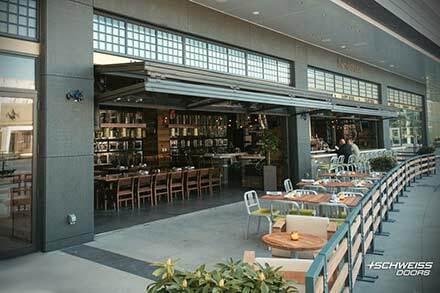 Weitman’s bifold door gives off a nice clean designer look even when wide open. 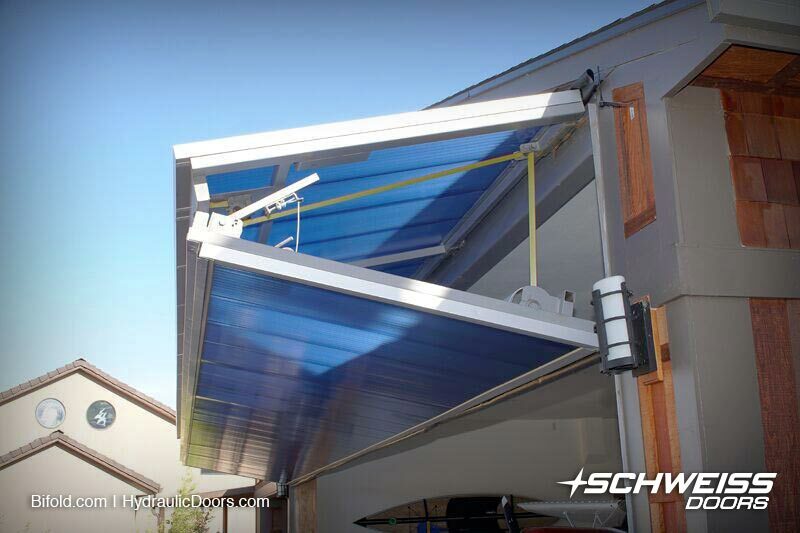 Bifold doors can be mounted 12” to 36” above the clear opening to give you no loss of headroom. 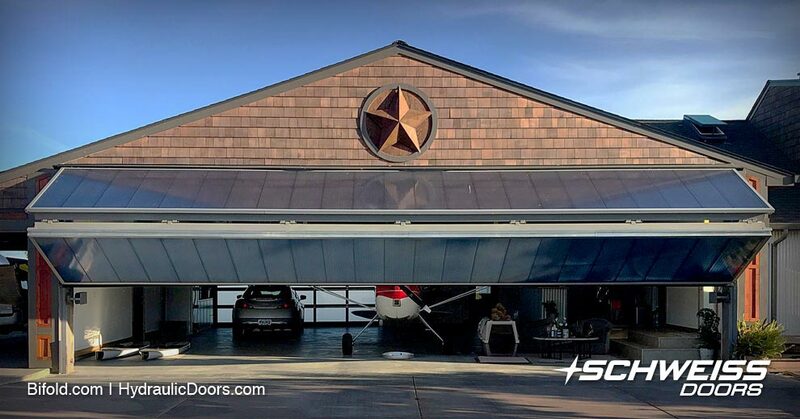 With the decorative star and patriotic blue front it has all the looks of a hangar home that you might think was owned by Captain America. 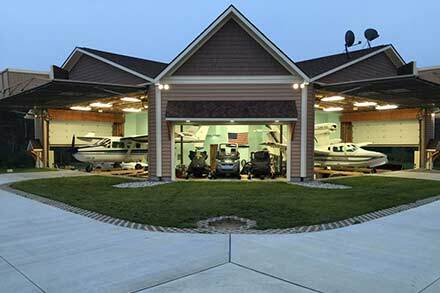 Jim Weitman, of Weitman Excavation in Sherwood, Oregon, and his wife, Star, live on a private grass airstrip just outside of North Plains, Oregon. 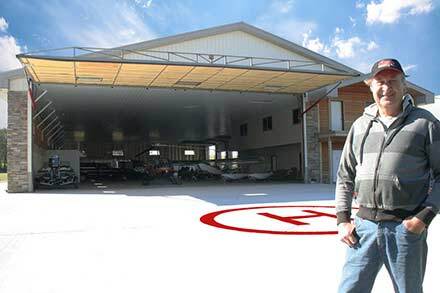 The hangar portion of the home measures 40' x 40'. 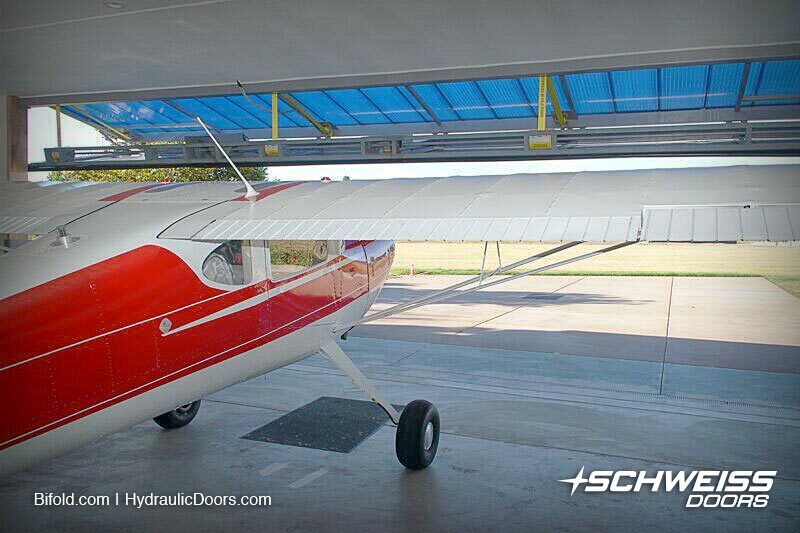 The Schweiss bifold liftstrap door on the hangar has a clear opening width of 38' and 9' 8.75" in height. 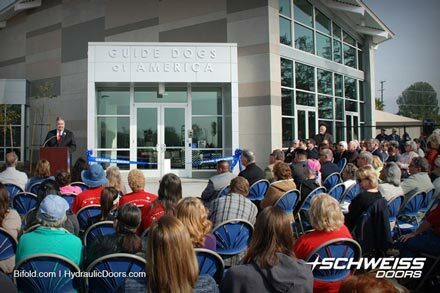 It is also equipped with automatic latches, electric photo eye sensors and a remote opener. 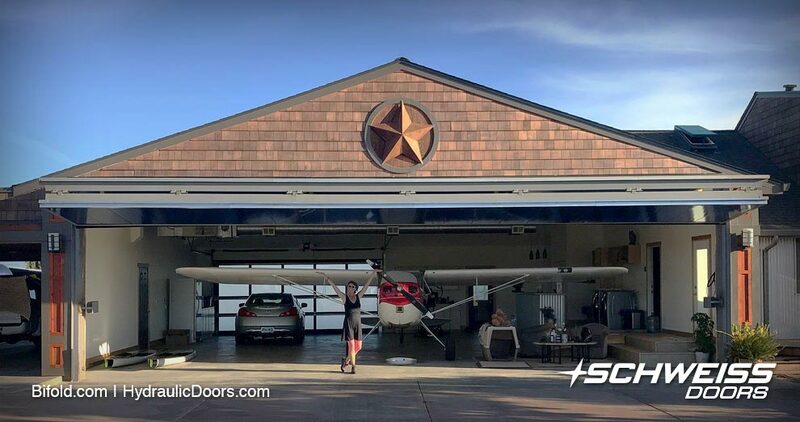 "With the exterior enhancements, including a new roof, cedar siding and a colored concrete apron, we really wanted to replace the old style twin 20' metal garage hangar doors with something that really stood out and complemented our lifestyle," said Weitman. 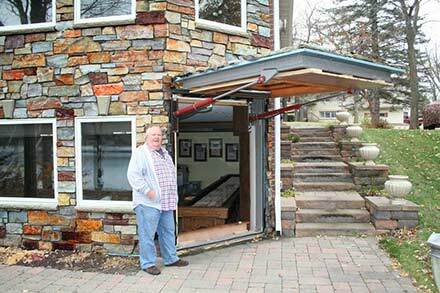 "I love the bifold and the appearance of the door. Even on the inside it has clean lines. 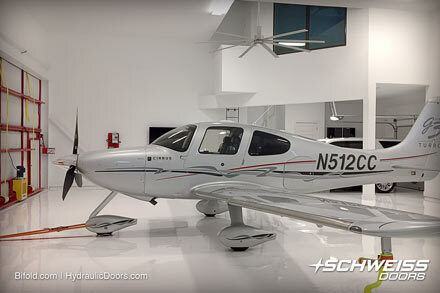 I love to open up that door on a sunny day, even on a rainy day, my wife and I will sit out in the hangar shielded from the elements and watch the clouds go by." 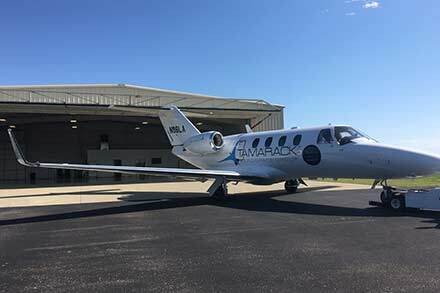 Jim said flying brings balance to their lives, with preferences towards free (unpowered) flight and freedom to break on through to sunnier skies. 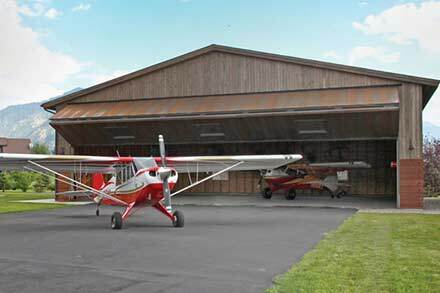 He has been flying for 29 years and when it comes to powered flight, Jim and Star share the skies with their 1946 Cessna 140, and soon will be adding an Experimental Vans RV-14 to their hangar. 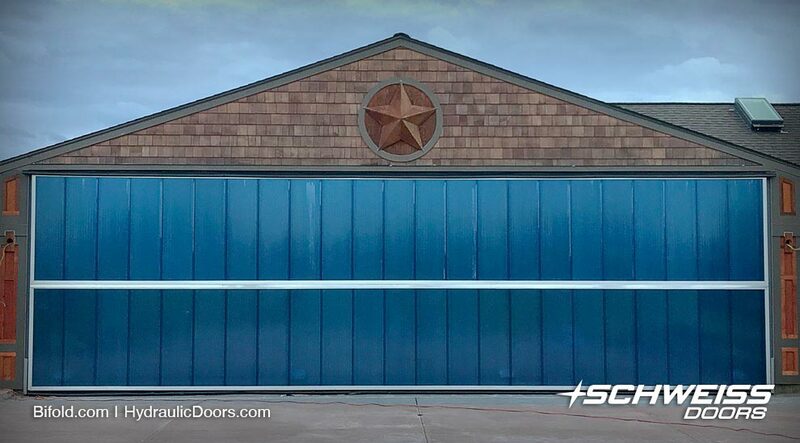 "Star and I were looking for a high-energy efficient, lightweight product with light transmission qualities to clad the door. 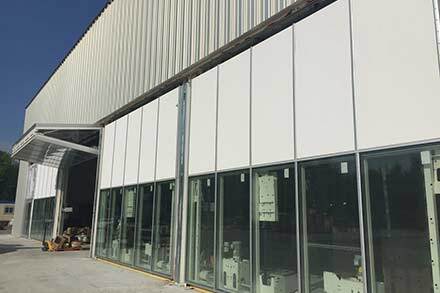 We had worked with polycarbonate products in similar arenas in the past and decided on the interlocking 40mm Lexan Polycarbonate product system for this application," noted Weitman. 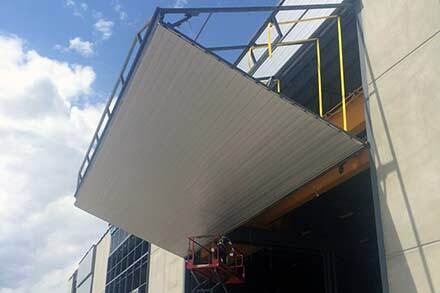 "Besides having high-impact qualities, this product provides a thermal insulation of 4.47 R-Value, UV protected outer surface and a 10-year limited written warranty against long-term weathering conditions." 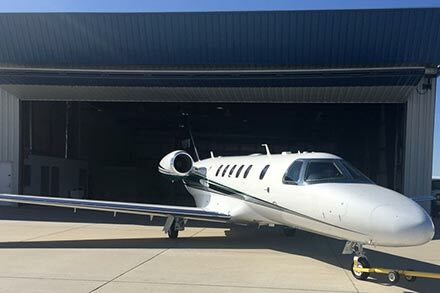 He also added that depending on the color of the product, one could expect 20-59 percent light transmission. 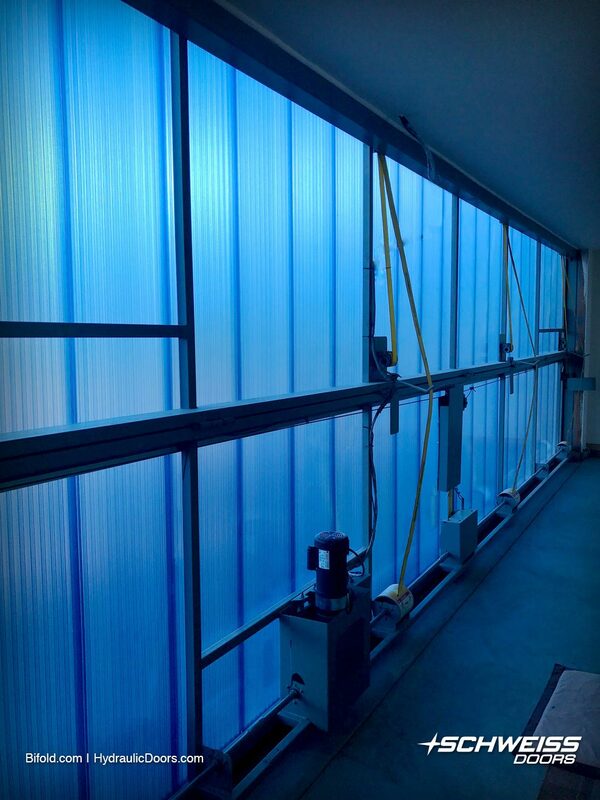 With his application, they chose the color of blue that allows for 20 percent light transmission. 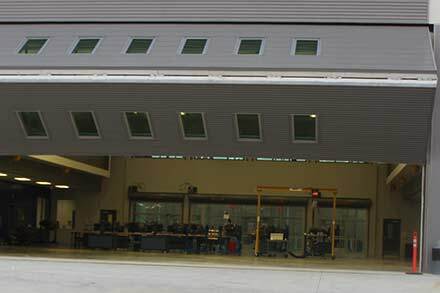 Finally, the weight of the product made for easy installation and fell well within the design criteria of the door. 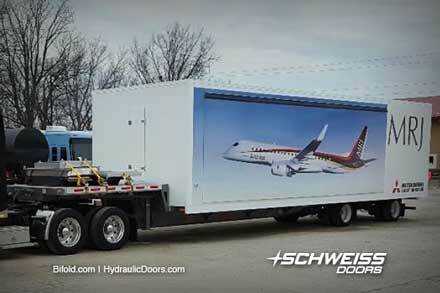 Many door owners opt to equip their bifold or hydraulic doors with a remote opening system that can be activated from the cockpit of a plane, vehicle or farm and construction equipment. 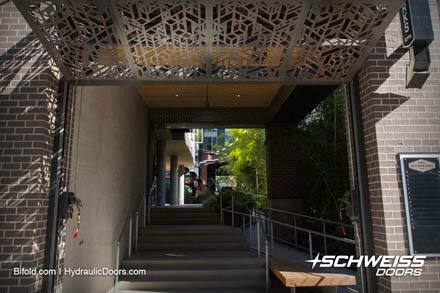 Customers love the Schweiss automatic latch system because they never have to worry about an unlocked door and it seals the door tight to the building. 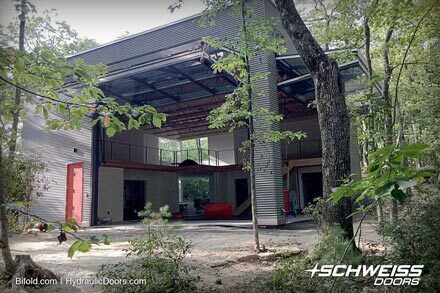 Several years ago Weitman was introduced to Schweiss Doors http://www.bifold.com by a neighbor who was installing a bifold door himself. 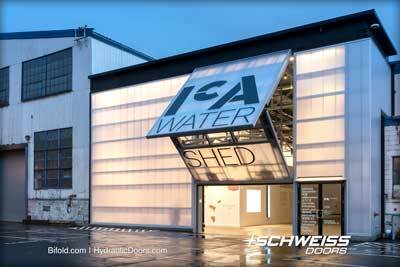 They became interested in the quality of the product and design and reached out to Schweiss Doors to design his door. 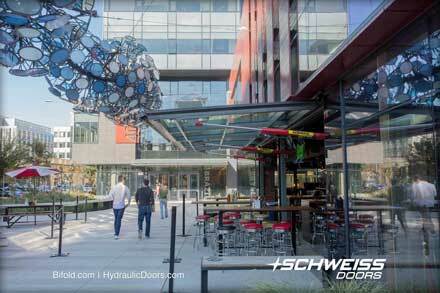 "We did check with other door manufacturers before deciding on Schweiss Doors. 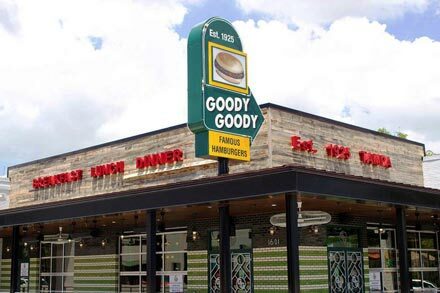 It wasn't a long review process. 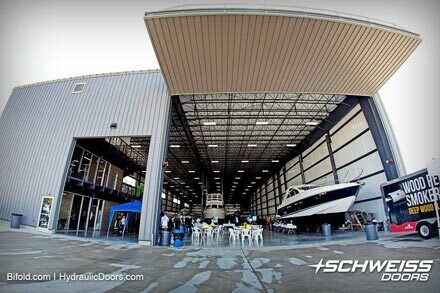 We quickly understood that Schweiss Doors set the benchmark in their industry for hangar door designs, customer service and support. Price wasn't a factor in our decision. 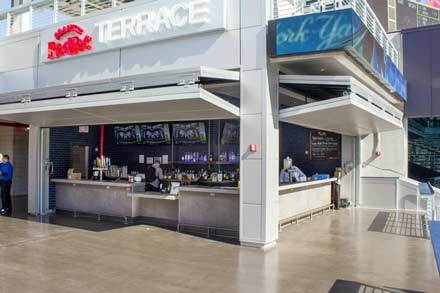 We were looking for quality and functionality of the finished product," explained Weitman. 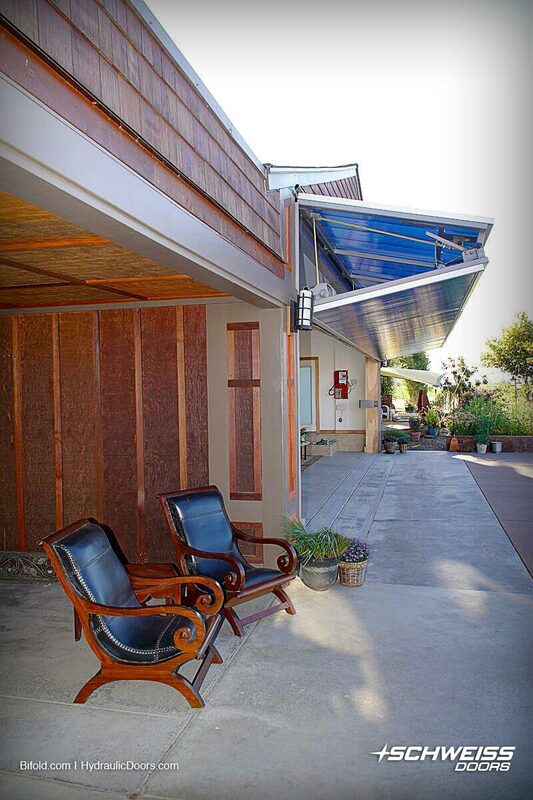 Weitman pointed out that the bifold door, as manufactured, is designed to seal well in all types of weather and mentioned that special attention to accurate dimensioning during the framing process is a must. 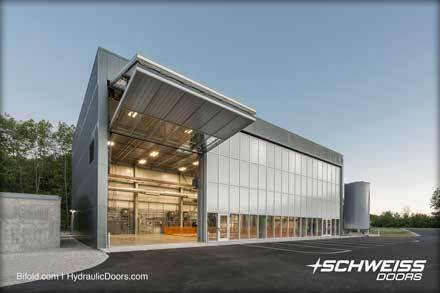 Installation details enhance the inherent sealing qualities designed in the door itself. 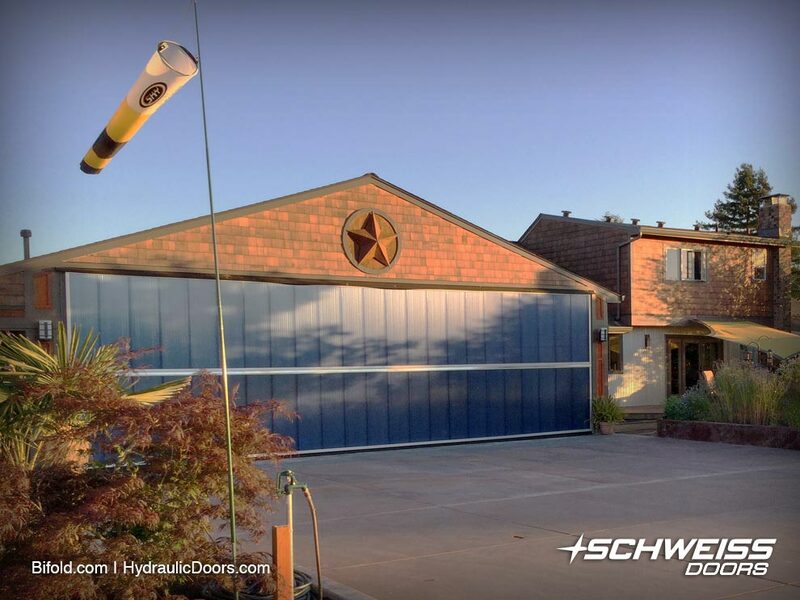 "As contractors ourselves and acting as our own general contractor/installer, we chose to install the Schweiss door ourselves - and it went well. 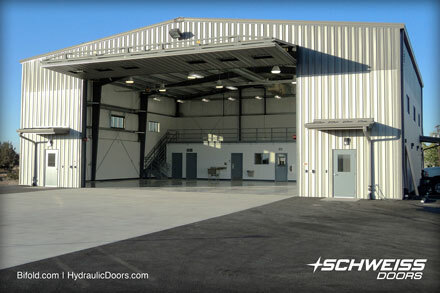 Separate from the door installation itself, retrofitting an existing opening provided its own unique journey. 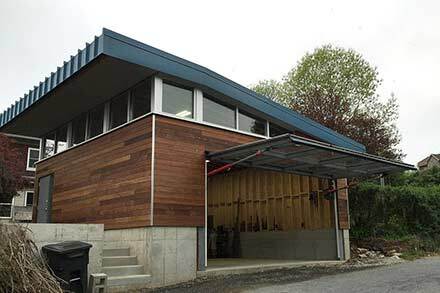 Working with a local structural engineer, we designed a steel-framed system to fit within an existing wood-framed structure to carry the operational loads of the door. 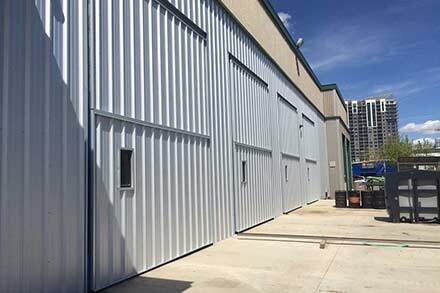 The system complemented the door so well, we look forward to utilizing the same process on future new and retrofit hangar homes," said Weitman. 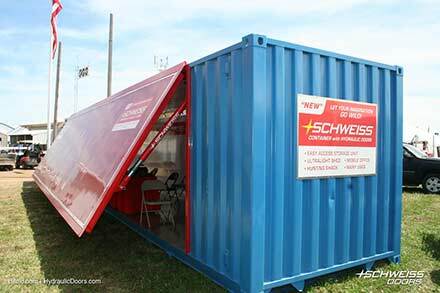 Weitman gave a thumbs-up to the helpful staff at Schweiss Doors and mentioned that the door arrived on time and in good condition. 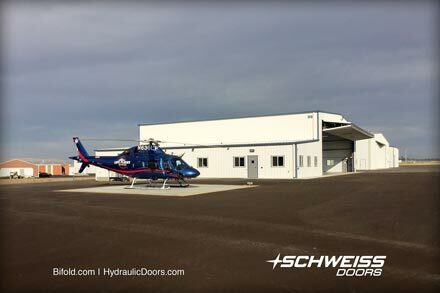 "Now that our door is installed, the benchmark Schweiss Doors set early on as the industry leader in design, customer service and support processes, followed their product with quality, on-time delivery and the attention to details, all surrounding safety and functionality. 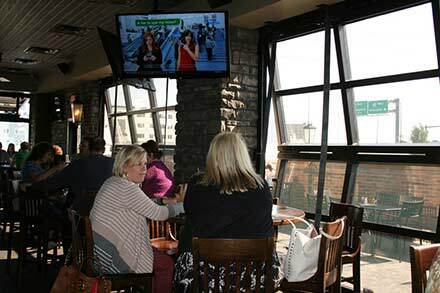 We were very impressed," added Weitman. 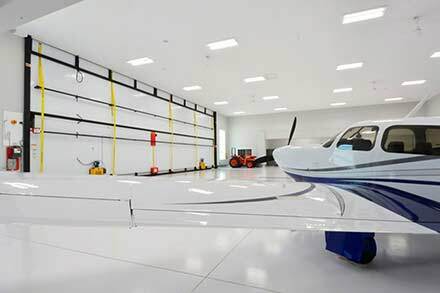 What could make your better half happier than having a new hangar door that opens easily with the touch of a button? 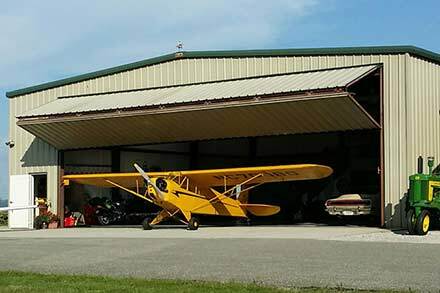 Jim and Star will often sit out in the hangar shielded from the elements and watch the clouds go by. 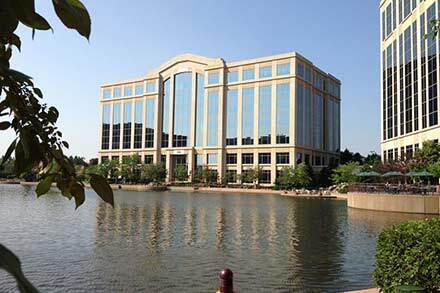 Weitman Excavation has been in business since 2003. 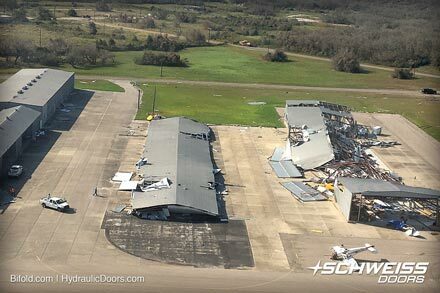 The expertise of its collective management and field staff is in excess of 100 years. 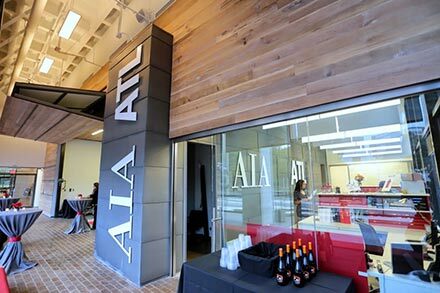 They provide innovative, dependable, quality products and services, while raising the industry's benchmark by its dedication to sustainability, diversity, education, health and safety of its clients, projects and team-based workforce. 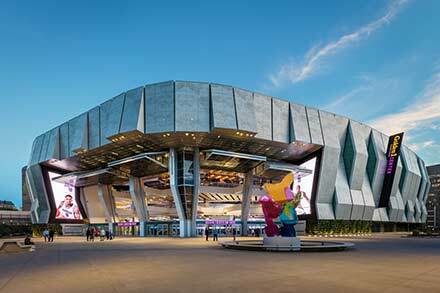 Their finely integrated team is committed across the board to bring added value to clients' projects through its accountability, integrity and business ethics. 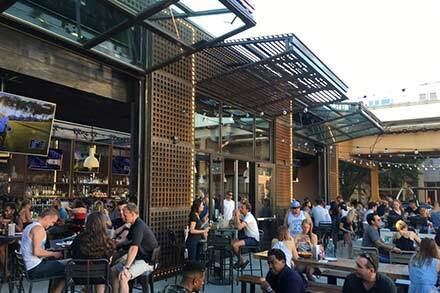 The collective team at Weitman Excavation is always excited to participate in cooperative design, construction and activation essential to the very nature of each and every client project. 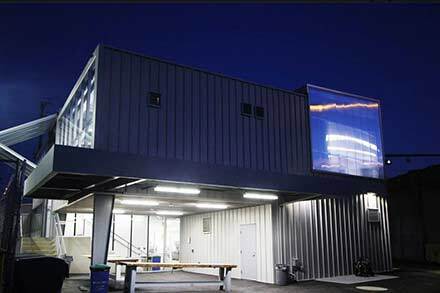 Weitman chose Lexan Polycarbonate interlocking cladding for a high-energy efficient, lightweight product that has good light transmission qualities. 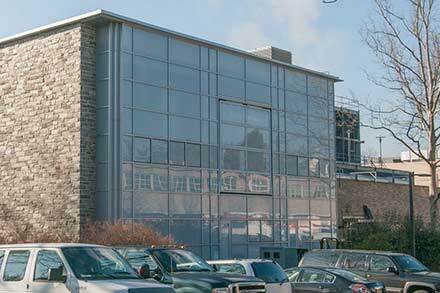 Weitman Excavation is a certified contractor in LEED and sustainability business practices that maximizes value to its clients and reduces the impact on the environment in which they work. 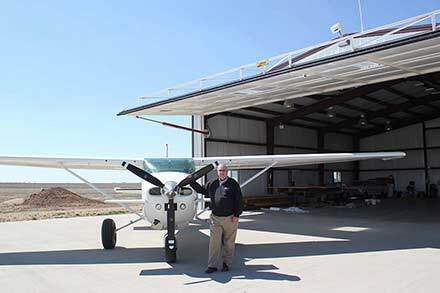 "What excites me," says company founder, Jim Weitman," is waterways, fish habitat, wind driven turbines and solar power - anything that has to do with renewable energy or stewardship of the land. 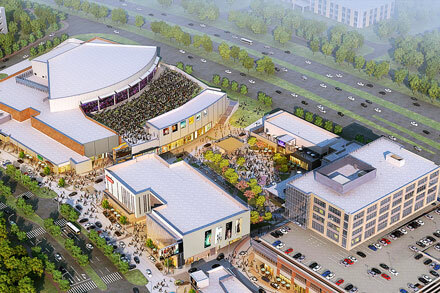 I am excited to spend our time and focus on these types of quality projects. 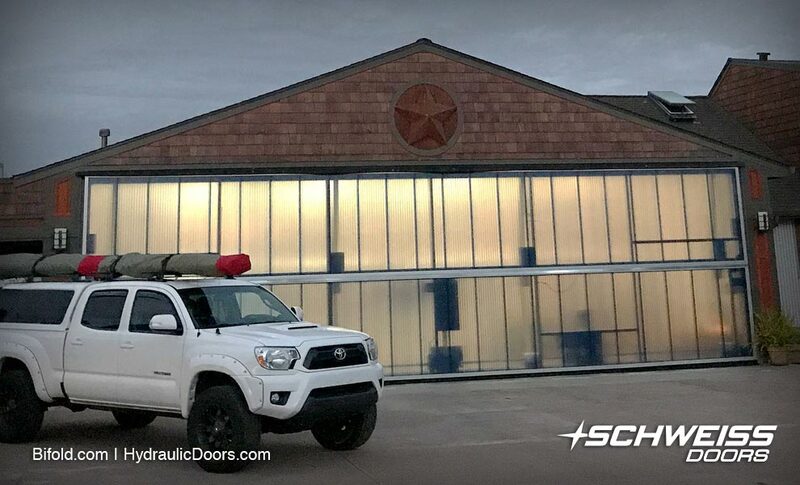 We excel at everything from working in tight, confined areas to working in a substation around energized power lines and on wastewater treatment plants that require a maze of piping. 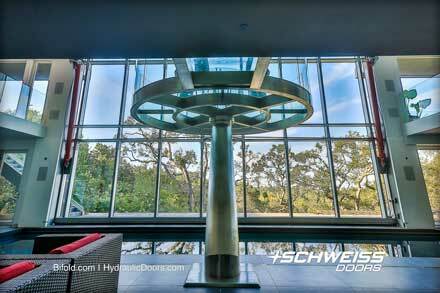 We love anything out of the norm - challenging projects that require thought and innovation to get to the job done." 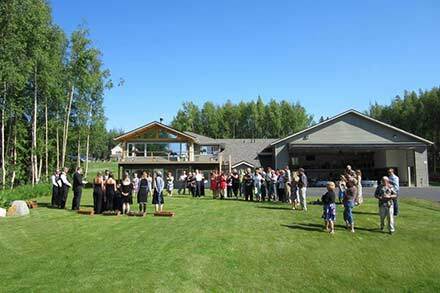 Weitman Excavation currently practices, promotes and is committed to doing business in Oregon making a conscious effort to hire Oregon-based firms to participate in projects within Oregon. 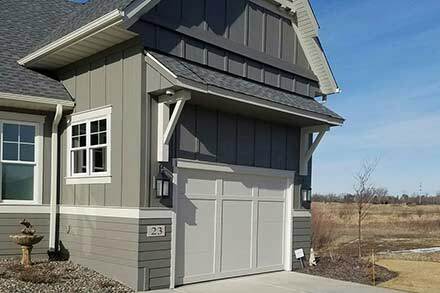 Thirty-five percent of their core work force has been with Weitman Excavation for over 10 years, despite the economy and cyclical projects. 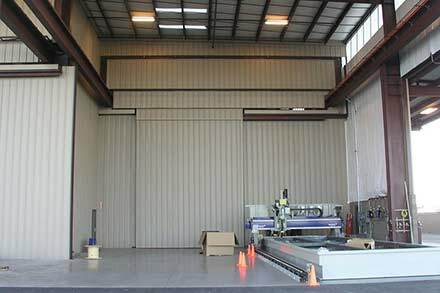 They currently contract with 85 percent of Oregon firms, materials and resources. 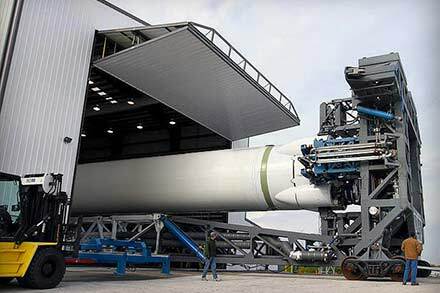 Their workforce diversity is 16 percent, while their goal is to exceed this on certain projects to 35 percent, comprised of 20 percent ethnic minorities and 15 percent women. 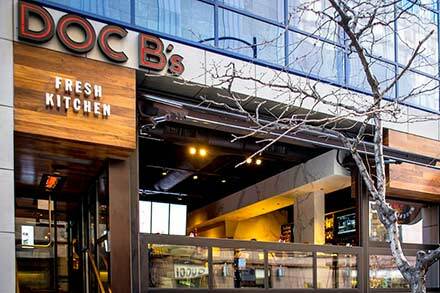 To achieve these goals, they focus on recruiting women, veterans and underutilized minorities to the company's workforce. Weitman Excavation is committed to growth, education and excellence by: providing in-house mentoring practicing special workforce outreach efforts, in addition to Good Faith Efforts providing outsourced continuing education for technical development, superintendent, project management and safety training courses. 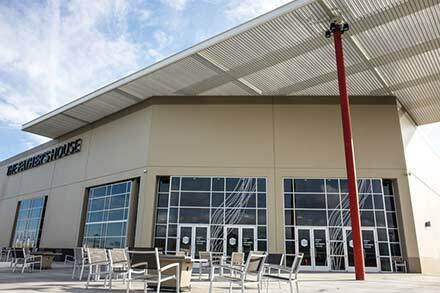 "We will be the dominant company in our service area by maintaining the benchmark for performance through quality service and responsiveness to our clients while providing a positive and rewarding environment for our employees and their families." 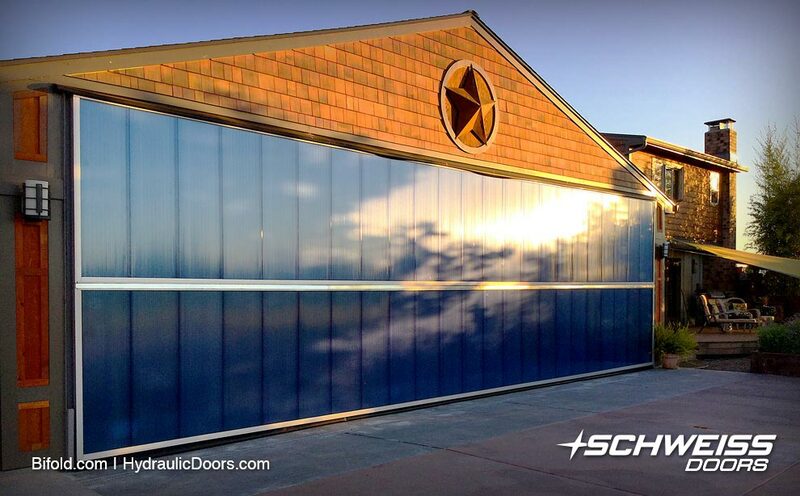 The blue polycarbonate cladding and star above the bifold door accent their hangar home as far as the eye can see. 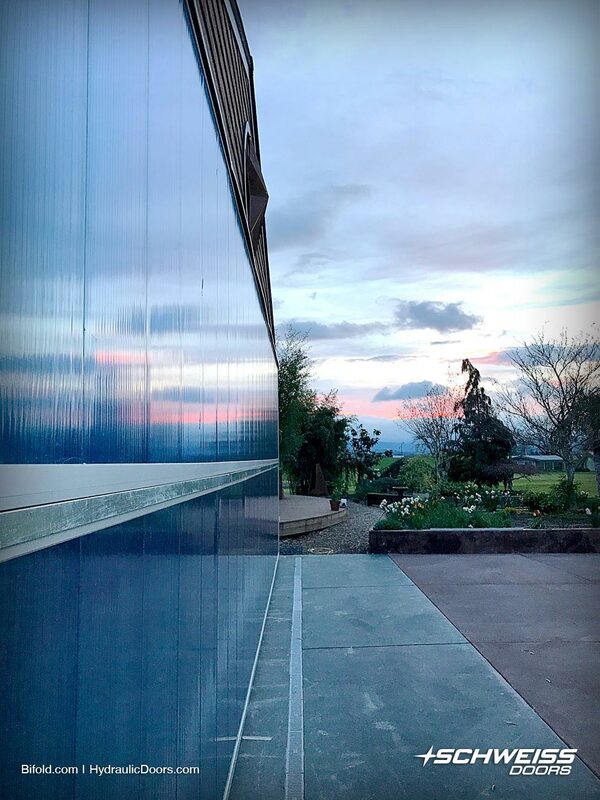 A beautiful Oregon sunset reflects off the 40mm Lexan Polycarbonate clad bifold door that was set in precisely by Weitman during the installation process. 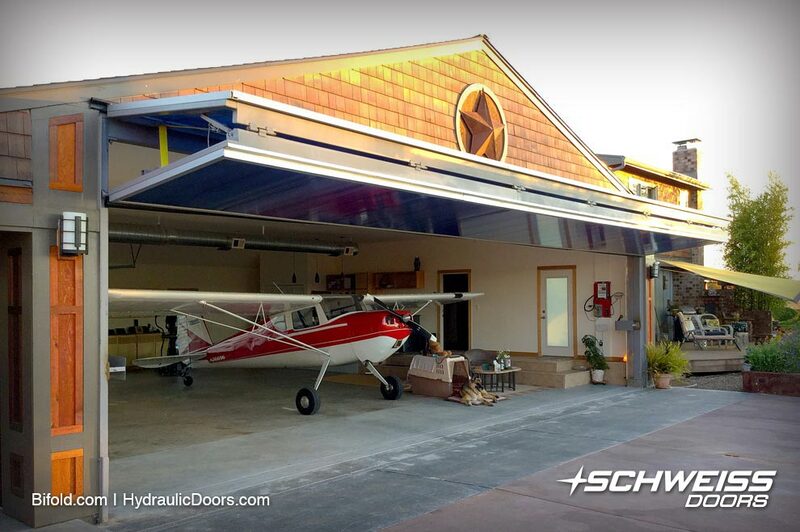 The Schweiss bifold door liftstraps and autolatch system securely opens, closes, and locks Weitman's hangar door in tight. 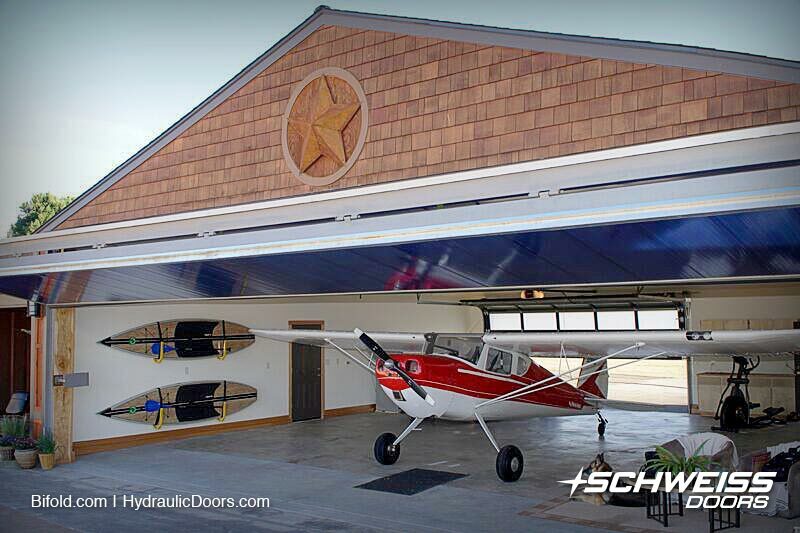 When the Schweiss bifold liftstrap door is wide open it offers a nice shaded canopy for the hangar. 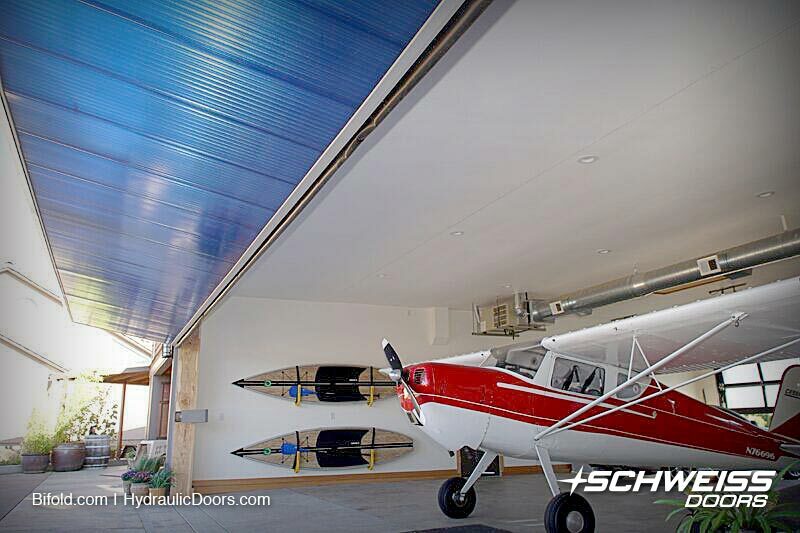 The bifold hangar door offers an appealing tight weather-resistant fit when closed. It is equipped with auto latches, remote opener and photo eye sensors. 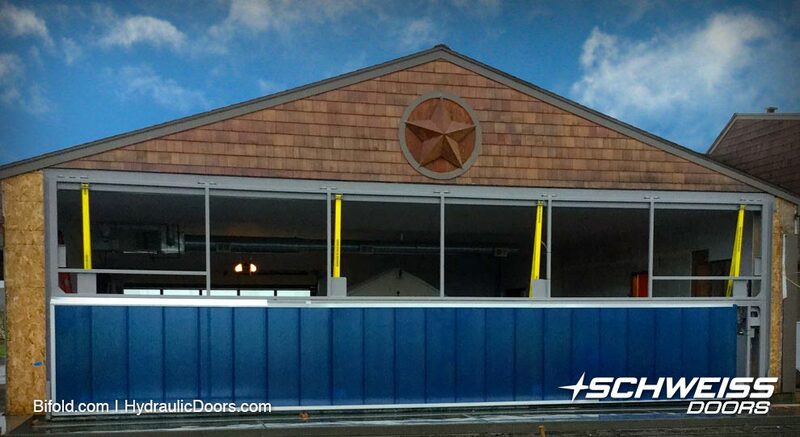 After the doorframe was installed, the bottom half of the door cladding was added. 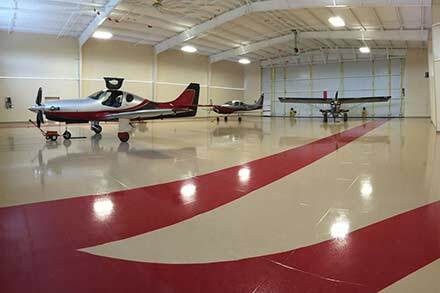 As owner of Weitman Excavation, Jim and his crew knew exactly how to prepare the groundwork and colored concrete apron for his new hangar. 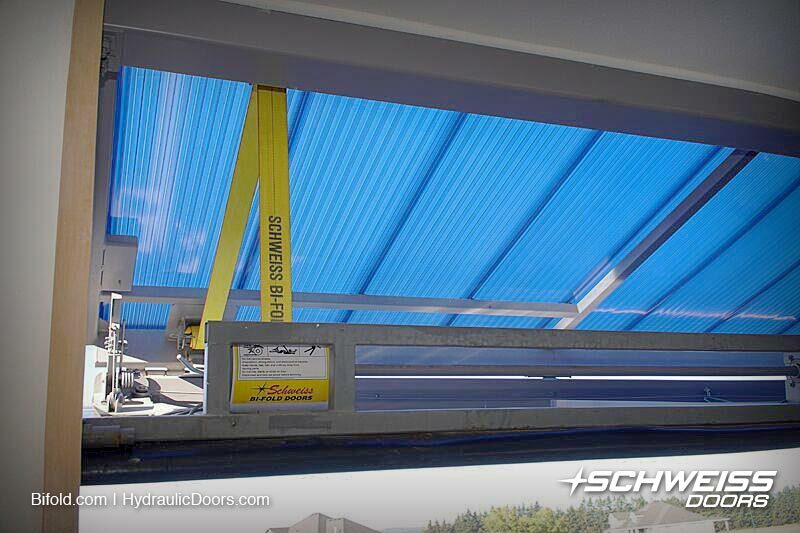 Strong polyester lift straps, capable of lifting 29,000 lbs. 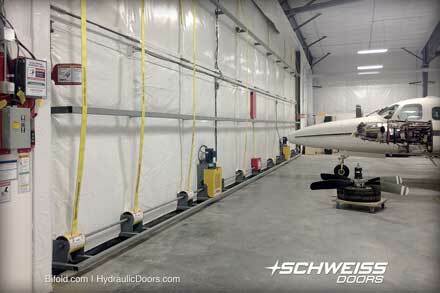 each wrap around the lift drum as the door opens. 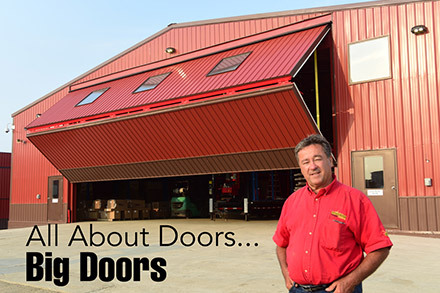 The larger the drum circumference the faster the door opens. 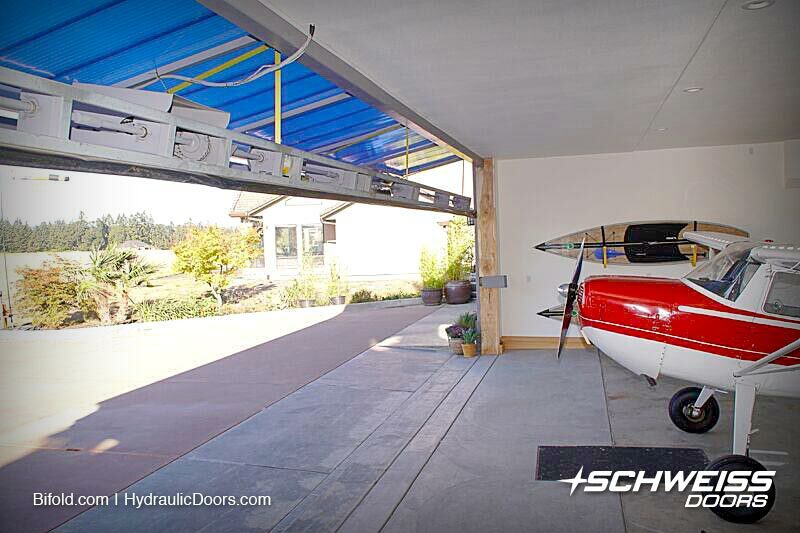 Bifold doors can have top or bottom-mounted motorized drive units. 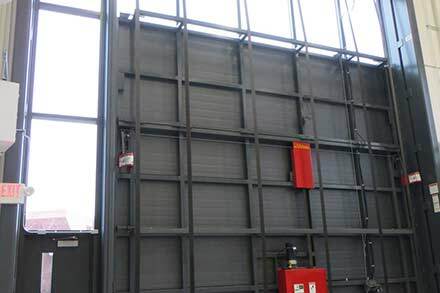 Each power unit will not take up any of your clear opening space. 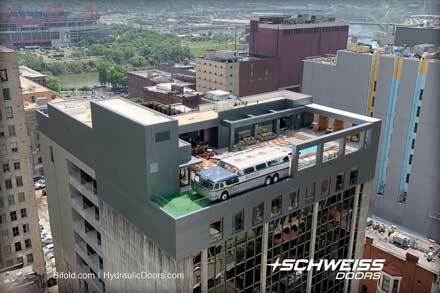 The bottom drive is easy to get to for service and the top drive is located up and out of the way. 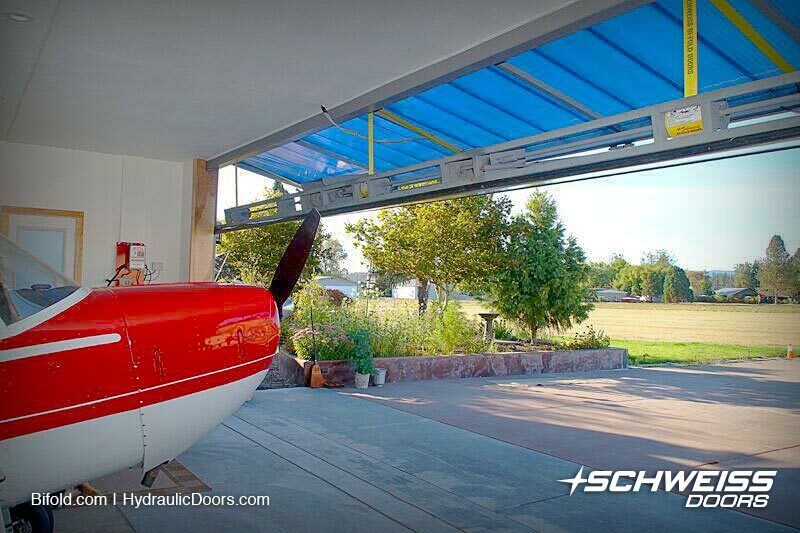 If you need a little breeze in the hangar, the bifold door can be stopped safely in any position. 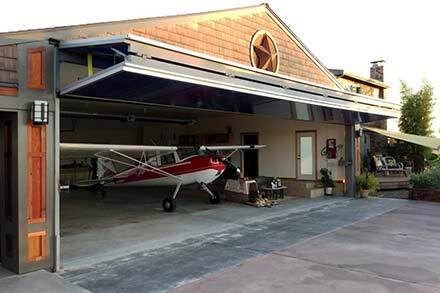 The bifold hangar door is open and ready for the Weitman's to taxi in for the evening relaxed sundown sit. 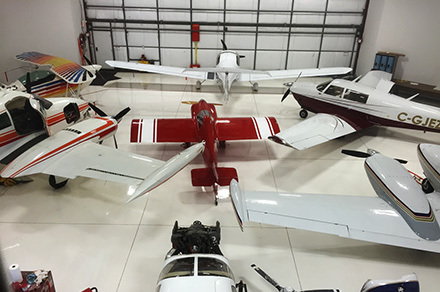 As evening approaches light from inside the hangar gives off a nice soft glow. 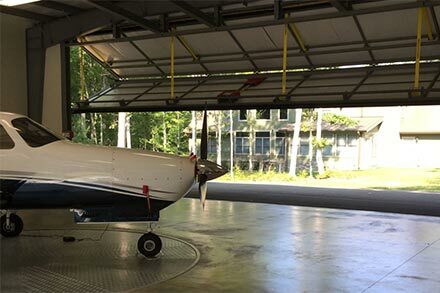 All it takes is a push from the wall control button or remote opener and this Cessna is ready to head out the bifold door to the adjacent grass runway. 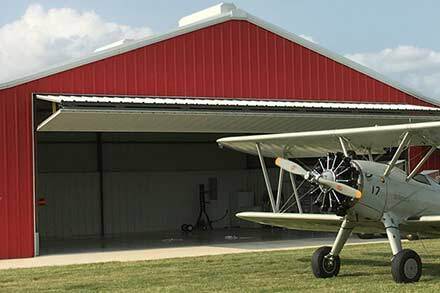 In addition to the distinctive high-energy efficient, lightweight blue cladding, Weitman also added cedar siding, a new roof on his 40' x 40' hangar and a colored concrete apron leading up to it. 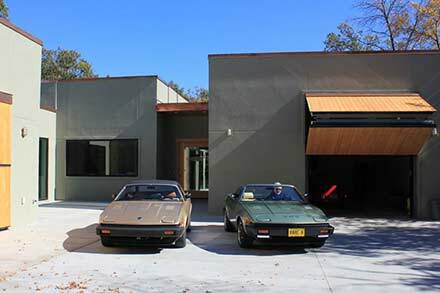 Since the Weitman's purchased their Oregon hangar home in 2007, it has become a personal art project, both inside and out. 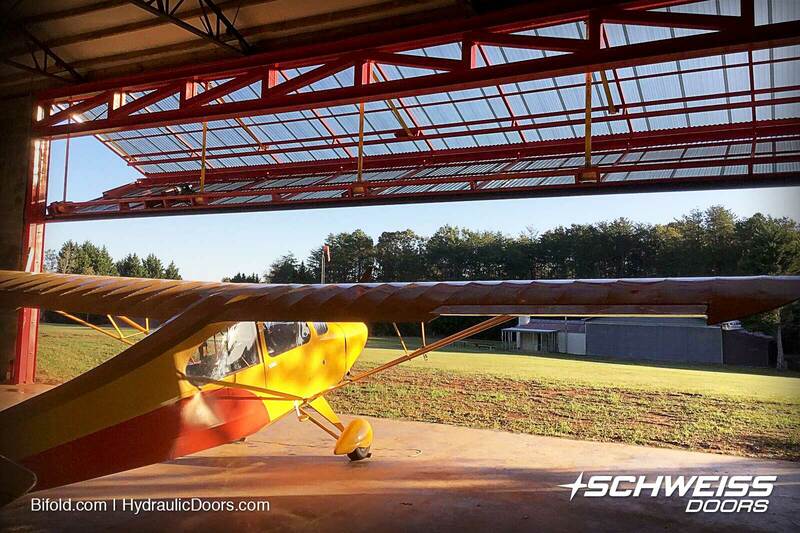 Jim and Star Weitman share the skies in their 1946 Cessna 140 and love their Schweiss bifold door.